KokoWebdesign.com has been designing web sites for over 15 years. Designing Web Sites in Palm Harbor, Tarpon Springs, Clearwater, Countryside, East lake, Trinity, Dunedin, Largo, Port Richey, Holiday, Pinellas Park, St. Petersburg, Tampa, Wesley Chapel, Orlando, Florida, North Carolina, Georgia, and even my original hometown of Buffalo, New York. 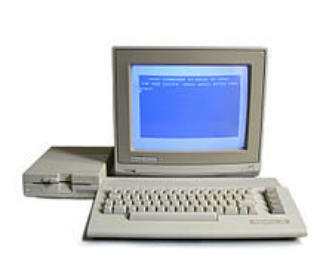 My first computer I owned was a “Commodore 64.” Instead of a hard drive, it had a “data cassette,” which was an actual audio cassette tape that stored the information. I was the person to call for family and relatives who needed help with their computers. When the Internet was born, I became fascinated with the ability to display a web page for the world to see. Focusing on small business websites has been the core mission of KokoWebdesign.com With 100’s of websites designed and launched onto the Internet, you can trust your business website will be created and live on the Internet within hours or days, not weeks or months.